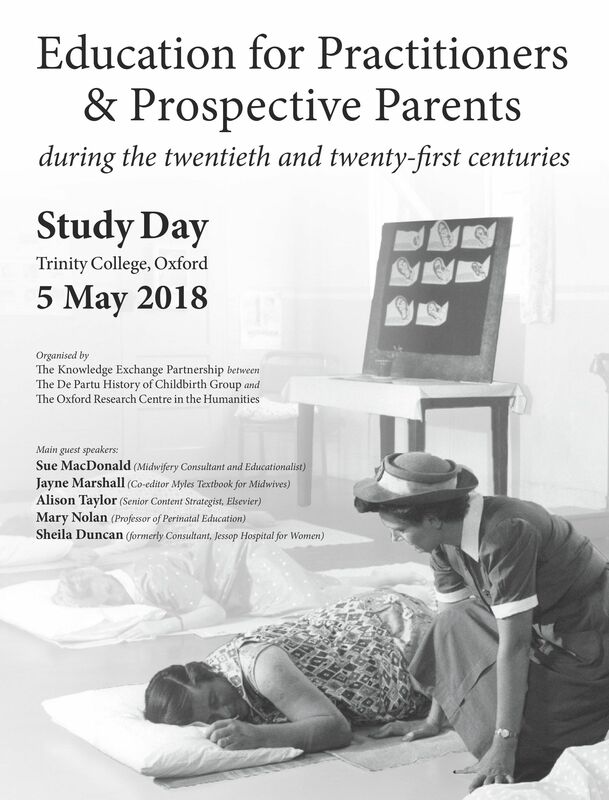 This study day is part of the Knowledge Exchange Partnership between The Oxford Research Centre in the Humanities (TORCH), the De Partu History of Childbirth Group, and the Royal College of Obstetricians and Gynaecologists. The day will focus on the history of midwives’ and obstetricians’ professional education and ways of working together, and aspects of the history of parent education. The programme will include several PhD student presentations. Details of the programme, and of nearby parking and accommodation, are available on the Events page.